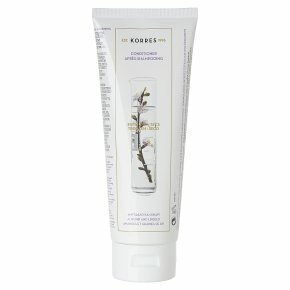 Conditioner that nourishes dry - damage hair, preventing breakage and split ends. For dry - damage hair. 92.2% natural content. Dermatologically tested. Suitable for vegetarians / vegans.Formula free of mineral oil, petrolatum / paraffin wax, silicones, parabens, propylene glycol, ethanolamines, PEG, SLES, ALES, synthetic dye, phthalates, polycyclic musks, alcohol, retinol, animal by-products. Use: Apply onto damp hair after shampooing and massage gently, avoiding hair roots. Leave for 1-2 minutes and rinse thoroughly.